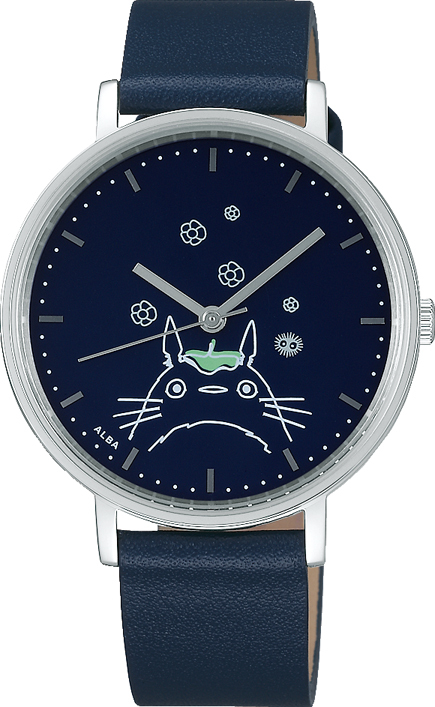 Seiko and Studio Ghibli collaborate! Seiko and Studio Ghibli plan to release something extraordinary for Ghibli’s fans! It also makes a perfect gift for women! This release is in celebration of the anniversary of the movie My Neighbor Totoro. Please read carefully. 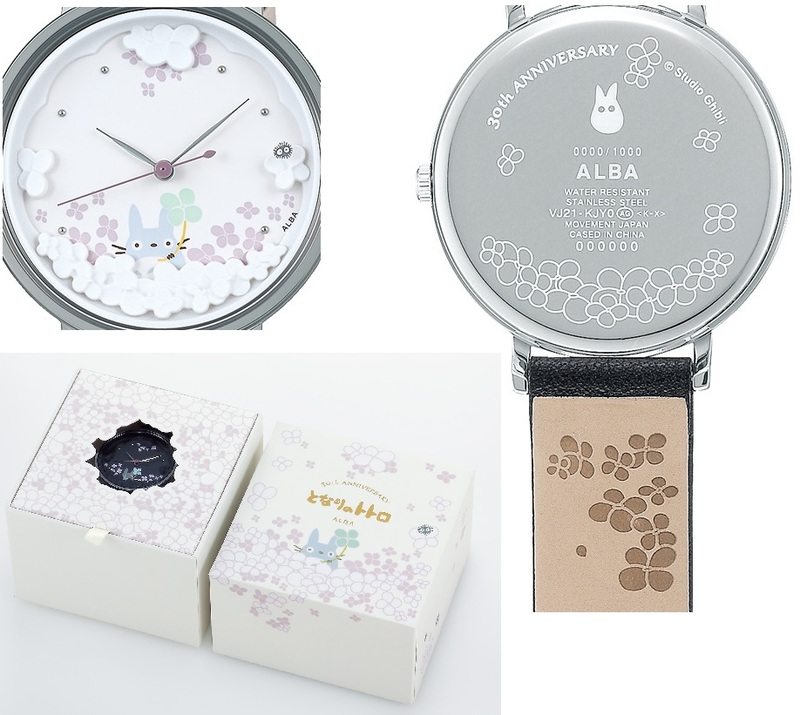 On 7 July, Seiko’s casual brand Alba, in collaboration with Studio Ghibli, will release four regular model watches with My Neighbor Totoro and Kiki’s Delivery Service designs, and the price will be only 9,000 yen. This is a reasonable price for these beautifully designed pieces. What’s more, in celebration of the 30th Anniversary of My Neighbor Totoro, two 30th Anniversary Limited Edition models will be released on 4 August as a 1,000 unit limited edition for 15,000 yen each, excluding tax. If you would like to be the owner one of these watches, you should buy one as soon as possible or, if you wait, try to find one in an auction, flea market or online shop. 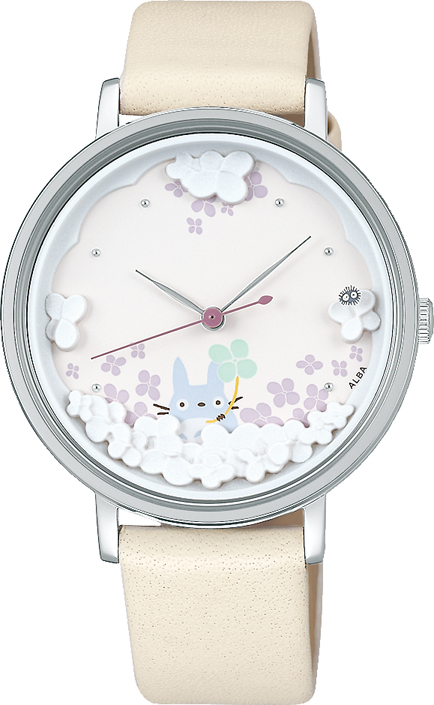 These watches are considered to have an adult-cute design, which means that the colours and images are not overly cute or kawaii. The images of Totoro and Jiji are drawn casually using simple lines. The colours are chosen with nuance from a dry navy to a slightly sweet beige-pink. Anyone can find a favourite among the seven colours. Motifs of My Neighbor Totoro and Kiki’s Delivery Service are drawn on the back and straps. The watches contain lots of hidden icons as well, and it’s fun to try to find and recognise them. What about the two 30th Anniversary limited edition models (ACCK 705, ACCK 706) that celebrate the 30 years from the release of the movie My Neighbor Totoro? With these models, it is possible to choose between two colours: ivory and black. On the back side of each model is written “30th Anniversary” and the number of the limited edition (0001/1,000 – 1,000/1,000) to prove the limited quantity. On the dial, there is a portrait of a small Totoro with a four-leaf clover. At the three o’clock position, you can find a large image of the popular Soot Sprite, also known as a Susuwatari in Japanese. There are lots of flowers decorating the back and strap. 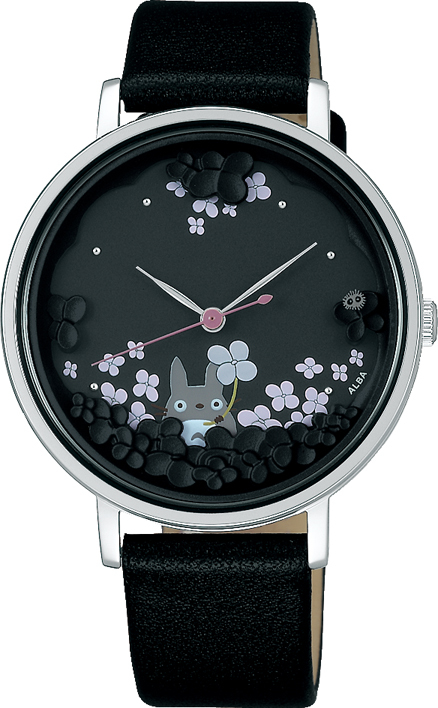 This limited model is packed in a cute box with an image of Totoro as the Studio Ghibli mascot and a flower garden. 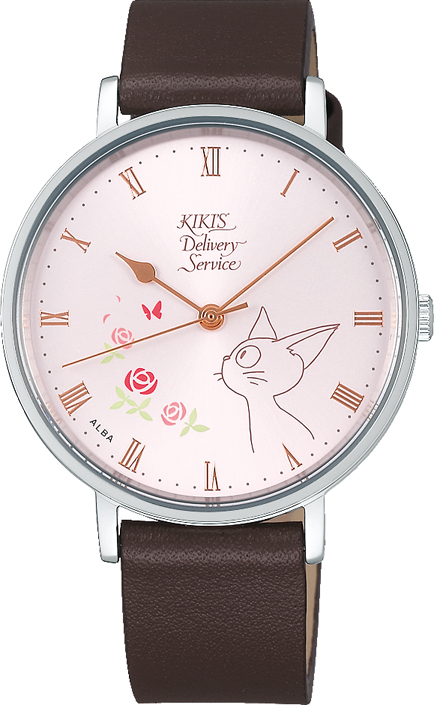 If you come to Japan, you can buy these watches at a Ghibli merchandise shop called Donguri Kyowakoku or any store selling Seiko watches. Of course, you can order it online, too.